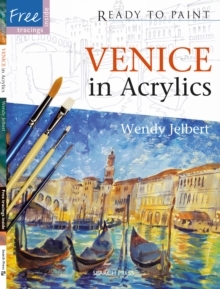 Cats and kittens are an endlessly popular subject for animal lovers and artists alike, and this book provides the ideal starting point for anyone wishing to produce beautiful acrylic paintings of these exquisite creatures. Julie Nash's style brings the cats in this book to life, capturing their different personalities - choose between playful black kittens, an elegant Siamese, a ginger tabby and more. There are five beautiful projects, each accompanied by a full-size tracing of the initial drawing. 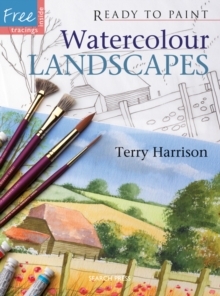 This means that if you have limited drawing skills, or simply wish to get straight on to the painting, you can simply transfer the drawing to your watercolour paper using the easy instructions provided, and start painting straightaway. 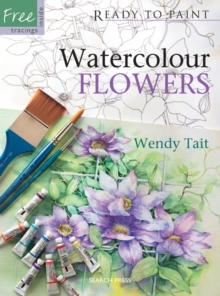 There are over 200 step-by-step photographs and easy-to-follow instructions altogether, including a complete list of the brushes and paint colours used. 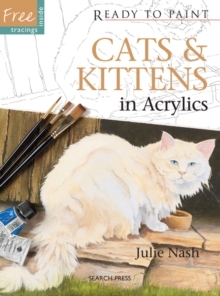 This is an ideal introduction to painting cats and kittens in acrylics and there is plenty to appeal to the more experienced artist too. 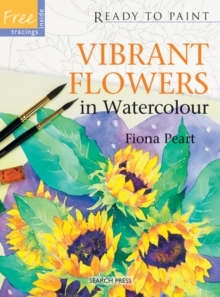 As well as the five projects, there are four further finished paintings to inspire the reader, one of which also has a full-sized tracing, making six tracings altogether.